Perfectly designed for use in restricted areas, LIFT-A-LOFT air-powered lifts are well-suited for use in operations where electrical or internal combustion equipment is not permitted. Both scissor lifts and vertical mast lifts are offered without any electrical components at all. These units are hydraulically powered by air motors that can function when an adequate supply of compressed air is connected. Vertical mast units can still be driven and steered into position. These air powered lifts can then be raised, rotated articulated (depending on the unit) and even driven at full elevation. 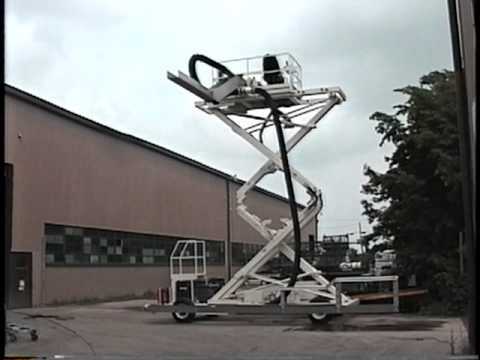 Self-propelled scissor lifts can drive as well and will raise and lower when the air piloted control station is operated. 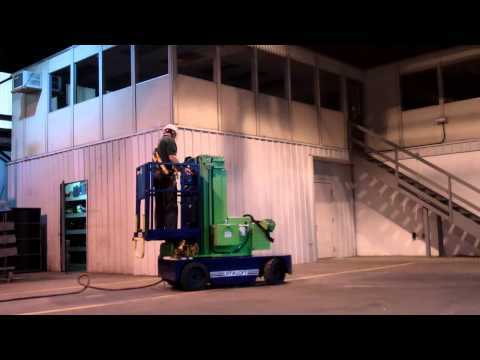 The air powered lifts are very dependable and can be used for maintenance, painting, and many other applications in a wide variety of hazardous environments. In many situations, pneumatic equipment is a viable alternative to explosion proof (EX) machines. Petro-chemical plants, paint booths, and offshore oil drilling platforms are among the users of air powered scissors lifts and vertical mast lifts manufactured by Lift-A-Loft. These companies depend on these aerial lifts for their daily operations. 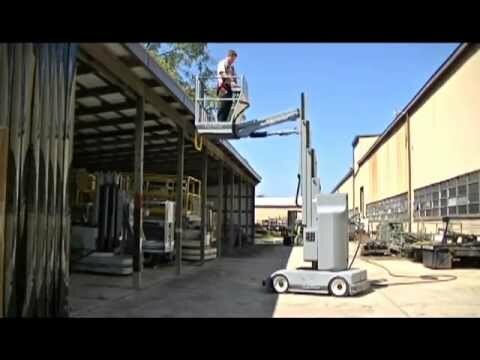 We have also developed other aerial lift solutions for customers working with hazardous waste and other materials. Some units have been designed for material handling and ergonomics while others required special platform configurations for work positioning. Lift-A-Loft is often called upon to supply solutions for working at height in hazardous environments. With years of experience, we can supply the solutions needed to work in applications that require special solutions. The AMR40 Air in Action! The AMV36 Air in Action! The SPX - SPL in Action!